This international Waldorf Doll Seminar is held every two years and this year’s was the second of its kind. 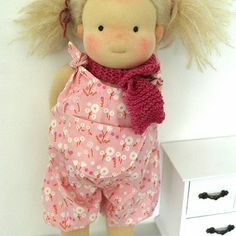 The idea sprung from the days of the guild system, when the members of the dollmakers’ guild in the Netherlands and Belgium came together twice a year to attend workshops and to learn new techniques from each other. Also connected to the event at that time there was a large textile market, where everything concerning dollmaking was offered. Since this dutch guild does not exist anymore, the idea arose to install a similar event nowadays and to include dollmakers from different countries. Thus, the European Waldorf Doll Seminar was launched and from now on would be held every two years. 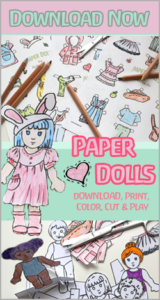 Each event has its own main theme and this year’s was “Refining your doll making skills”. In order to meet the great demand and to give everyone interested an opportunity to participate in the workshops, the seminar this year should take place on two consecutive weekends in May and June. Two years ago I sadly was not able to travel being very pregnant, so I quickly knew that I surely did not want to miss this year’s opportunity to attend… And I was lucky enough to secure a seat attending two of the many highly requested workshops offered on the first weekend. Kamrin and Berend te Kronnie from Kamrin’s Poppenatelier have launched the International Waldorf Doll Seminar – thank you very much for all your work and efforts bringing dollmakers and dollenthusiasts from all over the world together. You have been truly wonderful hosts! Like last time this year’s Waldorf Doll Seminar was also held at the Hotel & Congrescentrum Mennorode in Elspeet. The idyllically located conference hotel was the perfect location for such a big event with over 100 dollmakers from all over the world attending. Many participants, especially those traveling there from farther away, already arrived in Elspeet on Thursday, because the workshops started right after the welcoming speech on Friday morning. After the welcoming speech, the participants gathered around their respective tutors for their first workshop and from there went to their dollmaking classes together. In the hotel side building “Grote Zaal” most of the workshops took place. Some however, were held in separate seminar rooms and also in the main building. Busy bustle and diligent work of the various groups at the respective workshop tables. After a long days workshop with a lot of input, every night after dinner the dollmakers from all over the world gathered in the hotels garden taking a seat at the lounging area made out of bales of straw. For example, Sabine of “Bienchen & Blümchen” organized a grab bag for all participants to take part in. Meaning one could bring a small gift (related to doll making) so this gifts acquired could be exchanged by chance among the participants later on. 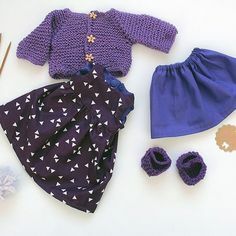 And there were indeed little treasures gifted; like pretty crocheted pincushions, tiny dolls shoes made from fine leather or antique fabrics and vintage lace. All things pretty and nice to delight a dollmaker’s heart. Also on Friday evening, a wonderful doll play by Ineke Gray(Petit Amsterdam) titled “Flower Market” took place in the Great Hall. Many of the most talented and sought after dollmakers had agreed to lead workshops and share their knowledge at the seminar. The workshops held were correspondingly themed – ranging from classes on making a classic Waldorf doll or artful hair embroidery to currently popular techniques such as weft making and face sculpting. So regardless the level of dollmaking skills and knowledge there was a suitable workshop for everyone. The tutors did a tremendous great job as well. If asking the students attending the various workshops, they solely spoke words of praise about their teachers. With smiling eyes beaming and contagious passion and enthusiasm, they were describing the qualities of their tutor and workshop in detail. The work and dolls created at the end of the workshops were also proof of this high level and quality. 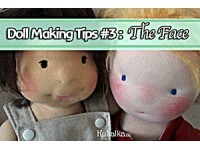 The first workshop I attended this weekend was the “Advanced Dollmaking Workshop” by North Coast Dolls. Meaning the incredibly talented and kind Meglena Jézéquel would be my tutor for two days. 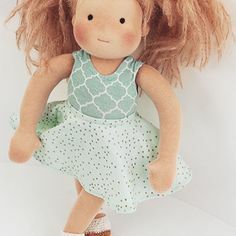 I could hardly wait to learn from one of my idols, hopefully ending up creating a similarly beautiful doll just like hers are. Meglenas’ North Coast Doll “Colombe” patiently modeled throughout the workshop. Dollmaking magic happened at this tables. Not only her dolls show Meglena’s love and passion for what she does -it is noticeable in every detail. There were also adorable woolen socks and dresses (hand-knitted by Meglenas mom) for the dolls. Each student also got a detailed written instruction with all patterns, in order to be able to deepen the knowledge gathered. This wire armature, forming the doll’s neck like a “backbone” also makes the dolls head poseable. She patiently explained and guided us through the whole process of her way of dollmaking. Sometimes explaining the same step for the fifth time in a row if necessary with still seemingly infinite patience. Meglena provided assistance where necessary only to shortly after giving room for us to learn through our own actions. She was always well prepared for every upcoming eventuality (with a seemingly inexhaustible replacement of material when needed). Always standing by our side, still teaching even far beyond the official class hours. The entire workshop was very well structured, her instructions precise and her doll making knowledge extensive. Allowing us to trust in our hands work through her guidance, growing and refining our own dollmaking skills. An important step: embroidery of the eyes. During the workshop Meglena also showed and explained popular techniques, such as weft making or the rolling wool method for achieving rockhard doll limbs, along with other valuable tips that were passed on to us. However, it quickly became obvious that it would be a difficult task finishing the dolls completely in time. So on the last day of the workshop we decided to extend the course hours ending from 5 to after 9 pm. And our amazing tutor Meglena also took her time to guide us on beyond the official time. 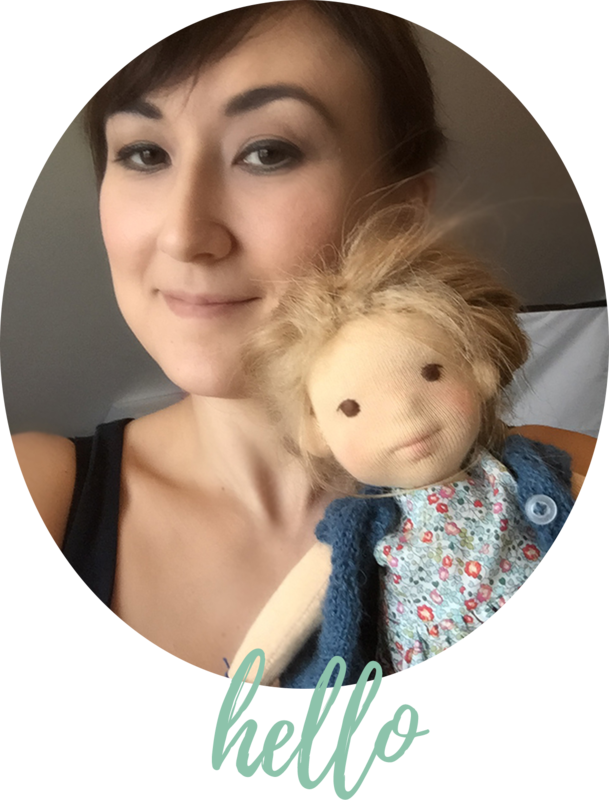 Thank you Meglena, for your inexhaustible patience with us and for sharing so much of your dollmaking knowledge! I am trouly blessed and thankful for meeting you and that you took the time teaching us. Meglenas redhead “Colombe” sitting among three dolls made by her students. 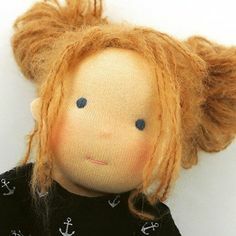 She has a sculpted face, brown hair of goat weft and very firmly stuffed limbs using the rolling wool technique. Psst,… She told me her name is “Emilia“. In addition to all the workshops, the textile market took place on Saturday offering all things dollmaking. The seminar participants also had the opportunity to sell their own hand-made goods and dolls there. … and so much more causing a sewists heart beat faster. There also was a large selection of fabrics from Liberty of London at the “Provence” booth. Of course Kamrin’s Poppenatelier had a booth, where you could get all the essentials for dollmaking. And Fig&me Fabiola’s husband had a small booth where you could buy the Magic Wool Wands. My second workshop of this seminar weekend was “Dressmaking with Liberty of London Fabric” by Dorota Strzebonska of Mum & Dot, which took place on Sunday morning. From nine to twelve o’clock we were tracing patterns, sewing, ruffeling and ironing. Although there was a bit of delay at the beginning until everyone got their machines set up, but soon each of us eight students (btw none of whom had accidentally picked the same fabric twice for their dress on the textile market!) had started sewing a cute little dress under Dorota’s excellent guidance. It also was nice to hear Dorota chat about her journey into dollmaking and to be able to ask various doll-related questions. Unfortunately, the workshops time was not quite long enough, so at the end Dorota instructed us without further ado but quite wonderfully detailed, so that everyone would be able finish their dress later at home. On top of that I was able to take some very valuable sewing tips along with me from this workshop. The finished dress – thanks to Dorota’s instructions, this was no problem. Last but not least greetings and thanks finally go out to all the wonderful women from all over the world, who together have shared and celebrated their love and passion for doll making this weekend! It was a very enriching and somehow magical event and I’m truly grateful to have been able to attend and becoming a small part of it, too – and for sure this certainly has not been my last time. Also: Go check out even more photos and a great blogpost about the “European Waldorf Seminar” by Maike Cölle on her Feinslieb Blog here! Thank you so much for your blog I know how nice it is . I was there the first time but sadely this year I was not be able to go there . Hopefully about two year I be there again , but still thanks for your experience about this seminair thanks thanks . Oh, was für ein schöner Artikel! Deine Puppe ist wunderschön! Überhaupt finde ich, dass die Puppen aus Meglenas Kurs wirklich alle ganz bezaubernd geworden sind. Ich freue mich sehr über meine Erwähnung in Deinem Text :-) Ich habe mich auch so gefreut, Euch alle kennenzulernen! You definately should try to go next time,… you will not regret it!